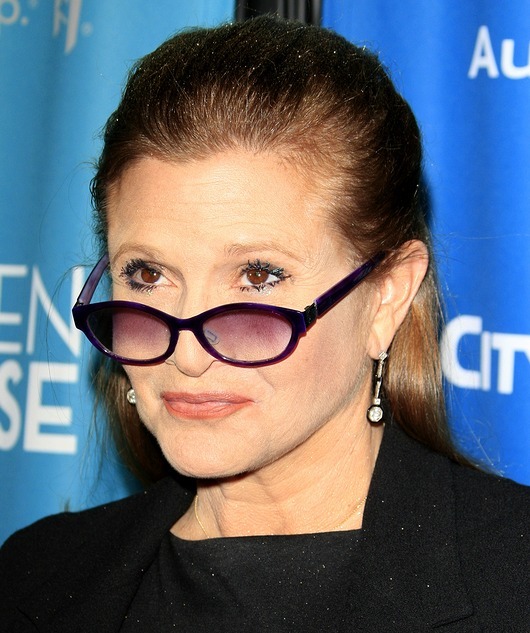 The recent death of actress Carrie Fisher came as a shock to everyone. She had a cardiac arrest while on an airline flight, never regained consciousness and died a few days later. It was recently reported that it’s possible her fatal heart attack was caused by a magnesium deficiency. While this is only speculative regarding Carrie Fisher’s health, it is well known that a magnesium deficiency can lead to a heart attack and sudden death, yet you normally won’t hear about this in the news. Magnesium is an essential mineral needed for more than 300 biochemical reactions in the body. You cannot possibly survive without enough magnesium, and many people are deficient in magnesium today. It helps to maintain normal nerve and muscle function, supports a healthy immune system, keeps the heart beat steady, and helps bones remain strong. It also helps regulate blood glucose levels and aid in the production of energy and protein synthesis. One of the most important jobs magnesium keeps is that of regulating healthy blood pressure levels, which is key for optimal cardiovascular health. It is possible to test for a magnesium deficiency and our doctors recommend obtaining the red blood cell magnesium level. It may be listed by the lab as RBC Mg or Mg RBC. A level of 6 or more is optimal. Magnesium supplements are a safe and highly effective way to increase your magnesium levels. While each form of magnesium serves its own purpose, after much research, the two most superior forms of magnesium are magnesium citrate and magnesium glycinate, and each for their own reason. • Magnesium citrate is one of the forms with the highest bioavailability, at 90%, which means that it is easily assimilated by the digestive system and used for maximum health benefits. In addition to offering heart health benefits and aiding in optimal nerve and muscle function, magnesium citrate is commonly used to help induce a bowel movement, encourage bowel regularity and has been studied for its ability to reduce the chances of developing kidney stones. Magnesium citrate is available in tablet form, however, is also offered in a liquid form. • Magnesium glycinate offers the same heart, nerve and muscle health benefits of magnesium citrate, however, for those who are sensitive to magnesium citrate and its bowel regularity properties, magnesium glycinate is a better solution. While most consider magnesium in pill form only, there are other forms of magnesium that are available and offer different health benefits. • Transdermal Magnesium is a topical magnesium gel that is used externally, versus being ingested orally. Rubbed directly on the affected area, transdermal magnesium can offer almost immediate relief for many symptoms, such as dry skin, muscle aches and cramps, migraine headaches, tension and stress. Take care of your heart today and make sure you are getting enough magnesium. It’s a simple solution that can go a long way for your health.